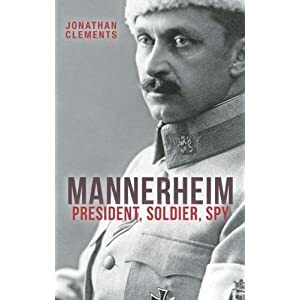 Finnish online magazine 65 Degrees North publishes a review of my Mannerheim book, now available in paperback and on the Kindle, that calls it an “absorbing, superbly detailed, powerfully written biography.” I don’t actually remember writing that German was the lingua franca in St Petersburg, though… surely it was French? This entry was posted in News and tagged Finland, Mannerheim, reviews by ixarette. Bookmark the permalink.